EUSA_ID is terminated due to an end of funding! There will be no further Call for applications! 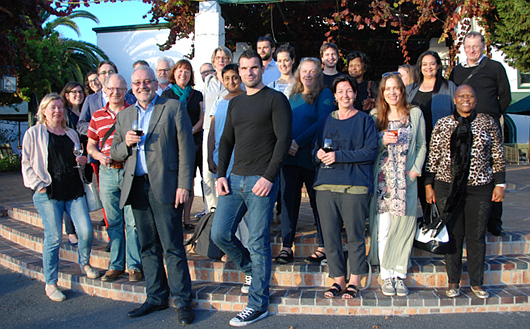 From 18-21 March the final EUSA_ID Meeting took place in Gordons Bay, South Africa. All South African and European partners of the consortium took part in the meeting in order to discuss the results and the sustainability of the programme, challenges during the implementation phase and best practice examples. Several scholarship holders of the programme were invited to talk about their experiences at their respective host institutions. Alumni work and networking were as well part of the agenda and the selection committee selected some final staff grantees. Alltogether it was a successful meeting with promising ideas for future collaborations. 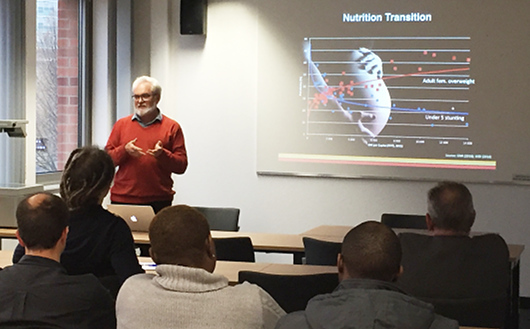 Prof. Julian May from our Partner University UWC (University of the Western Cape) in Cape Town, South Africa, gave a lecture on ""The scramble for Africa's food security: Food and nutrition trends in the Sub-Saharan economic powerhouses" during his Staff Mobility to the Ruhr-University Bochum. Even if the deadline of the last Call for scholarship applications expired on 15th June 2016, staff applicants can still submit their applications until the end of June 2017! For the last Wave of the 3rd Cohort 3 South African Master, 1 South African PhD candidate and 4 European PhD Candidates were selected and will commence their studies within the year 2016. Additionally some South African academic and admin staff candidates were selected for a staff mobility. EUSA_ID student arrived in Jyväskylä! The Erasmus Mundus programme aims to enhance the quality of higher education and promote dialogue and understanding between people and cultures through mobility and academic cooperation. Action 2 Partnerships are the basis for enhancing academic cooperation and exchanges of students and academics, contributing to the socio-economic development of non-EU countries targeted by EU external cooperation policy. 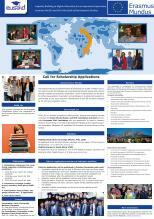 This project is funded by the European Commission within the framework of the Erasmus Mundus Partnerships programme.